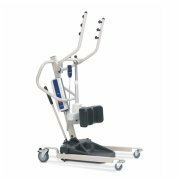 Electric sit-to-stand stand-up patient lifts. 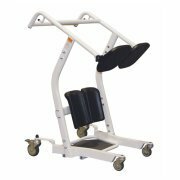 Manual and battery-operated stand assist patient lifts are able to lift a patient from sitting to standing position. 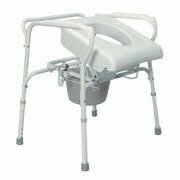 Patients can then be transferred to a chair or commode. Stand-up sling wraps around the patient's back, and pulls them forward for easy and safe transfer. 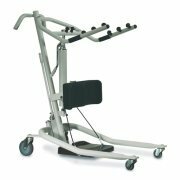 Trusted brands include the Invacare Reliant RPS-350 stand-up lift, Medline MDS-400SA stand-up lift. 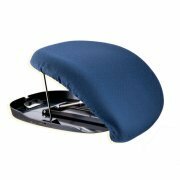 Browse a wide selection that also includes Joerns Hoyer and Graham Field.